This is my second finished gift hat, and I totally love it. I saw a similar stitch pattern on a washcloth on Pinterest, and I just had to use it. 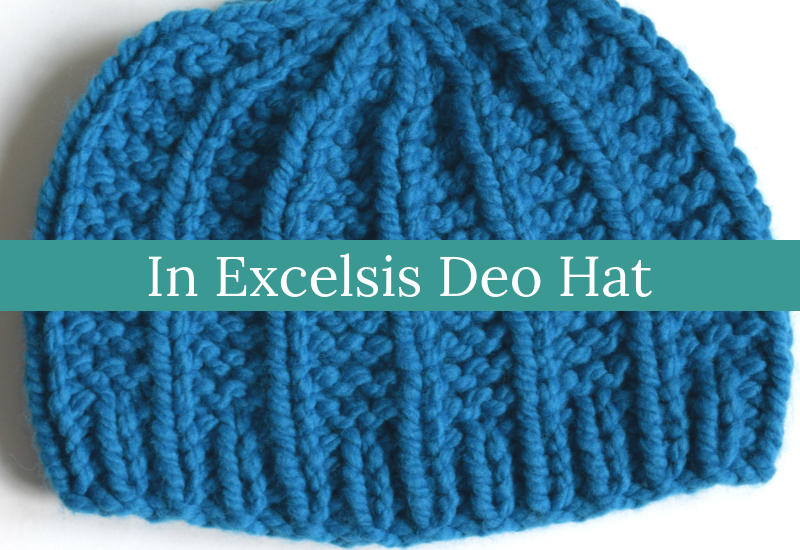 Theirs used slip stitches, but I kept mine to basic knit and purl. It’s really simple, but it’s so cozy and textured. It has a lot of personality without being complicated. Give it a try! 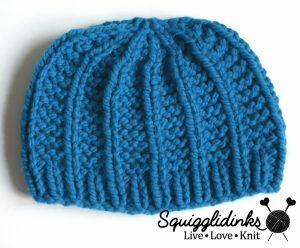 This pattern is also available as an inexpensive printable, large print, ad-free PDF via Ravelry. Yarns used: Big Twist Natural Blend (super bulky (6); 80% acrylic, 20% wool; 98 yards/142 grams), 1 skein of Natural Blend Denim. Round 6: p3, k1, repeat to end. 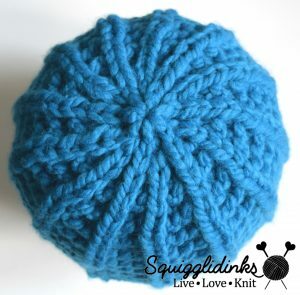 Switch to dpn whenever your stitches get too tight on your circular needles, usually around round 9 or 10. Round 7: k2, k2tog, repeat to end. Round 8: p2, k1, repeat to end. Round 9: k1, k2tog, repeat to end. Round 10: p1, k1, repeat to end. Round 11: k2tog, repeat to end. For Child/Teen and Lg. Adult sizes, Round 12: k2tog, repeat to end. For Adult size, Round 12: k2tog, repeat to last st, k1. Row 2: k3, p1, repeat to last 3 sts, k3. 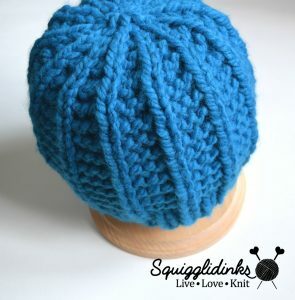 Do you think this would doable to make the knit rows in a different color? You could just carry the yarn over maybe? Round 5: k3 with Color B, k1 with Color A, repeat to end. Round 6: p3 with Color B, k1 with Color A, repeat to end. I haven’t tested this, though. Let me know how it turns out, and I’d love to see a photo of the finished product!